Recently Frank Gotmark and I were awarded a grant to study population matters from the Global Challenges Foundation. Our project, titled "Research on effects of overpopulation and ethical policies to reduce global population growth," will examine the environmental impacts of overpopulation and explore best practices for ending population growth around the world. Frank is an ecology professor at the University of Gothenburg, Sweden, where the project will be headquartered. Research assistants working on the project are Patricia Derer from Hungary and Jenna Dodson from the U.S. Senior advisors to the project include Carl Wahren, former head of the International Planned Parenthood Federation, and Karl-Erik Norrman, secretary general of the European Cultural Parliament. Since 1950 the global population has grown from 2.5 billion to 7.6 billion, and this past July the U.N. increased its median projection for 2100 to 11.2 billion people. How will we deal with that kind of population growth without paving over and cooking planet Earth? Better to avoid it in the first place! Population growth increases resource use and overall consumption. This, in turn, amplifies environmental problems such as air and water pollution, loss of biodiversity and species extinction, and global climate change. In our study, Frank and I plan to quantify these impacts and consider policies to help limit them. Among other topics, our research will identify policies to address population aging in developed countries without increasing overall population numbers; quantify how reducing population numbers can help reduce greenhouse gas emissions; and explore the role immigration policies play in stabilizing or de-stabilizing populations in sender and receiver countries. 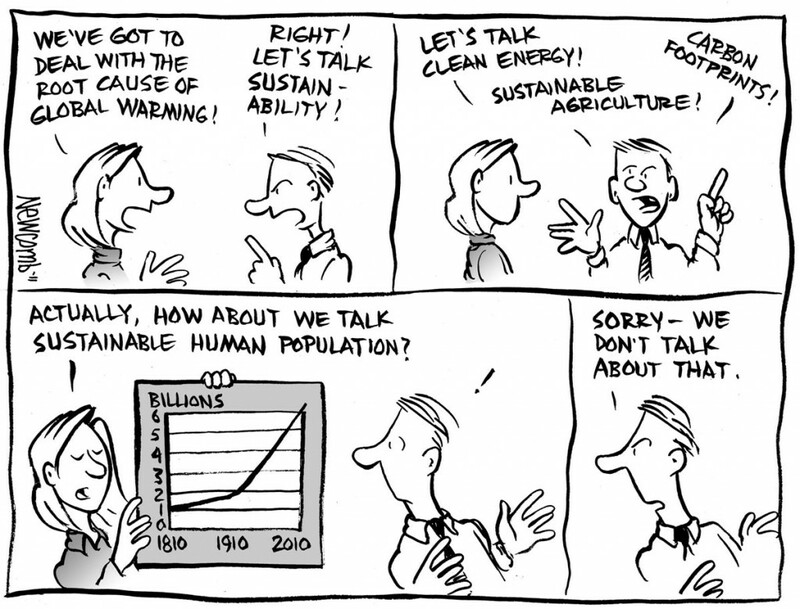 Population issues have become taboo in recent years among most environmentalists. We aim to change that through an honest discussion of the demographic choices facing countries around the world and the environmental implications of those choices. We are convinced that ending population growth is one key to creating environmentally sustainable societies, both in the developed and the developing world. The Global Challenges Foundation was founded in 2012 by Swedish financial analyst and author Laszlo Szombatfalvy. The Foundation’s aim is to contribute to reducing the main global problems and risks that threaten humanity, particularly climate change, degradation of global ecological systems, politically motivated violence, extreme poverty and population growth. We appreciate their support!